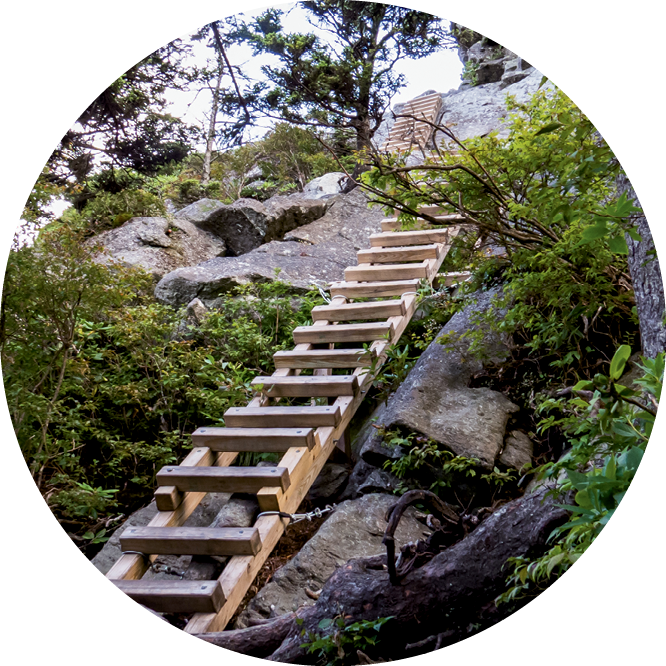 There’s no better way to get up close and personal with Grandfather Mountain’s defining rocky “profile” than to tackle the Profile Trail, the main path up the west side of the peak near Banner Elk. 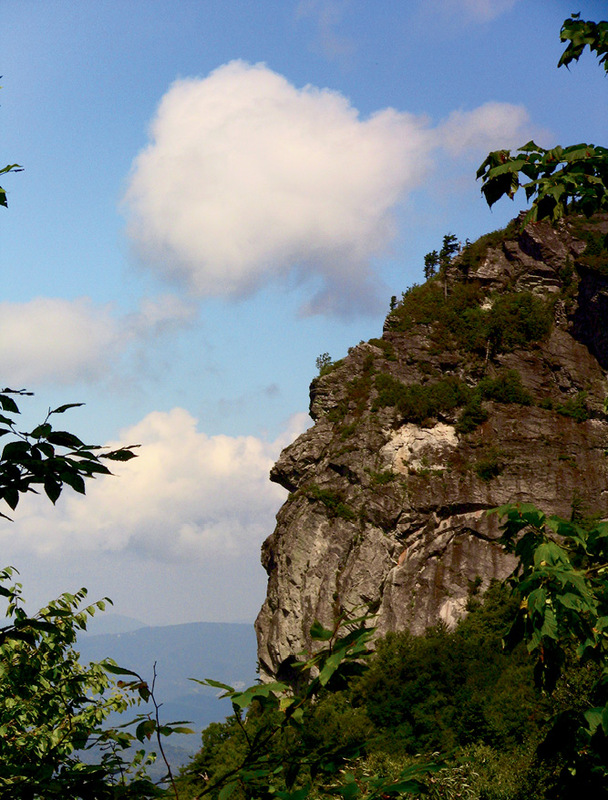 One vista on the way to Calloway Peak, the mountain’s highest at 5,946 feet, brings you eye-to-eye with the craggy old man. If that’s too much, the new, lowest portion of the path beside the frolicking Watauga River makes for a moderate, 3-mile out-and-back walk on a kid-friendly TRACK Trail. The convenient new trailhead makes it easy to enjoy the ecologically rich western slope of a mountain that mightily impressed early botanists like André Michaux, Elisha Mitchell, and Asa Gray. NAVIGATE: The new parking area is 12.6 miles south of the NC 105/US 321 intersection in Boone. Turn left off of NC 105 into the trailhead access road between Pedalin’ Pig Barbecue and the High Country ABC Store. Visit the park’s website for an announcement about when the new trailhead officially opens: www.ncparks.gov/grandfather-mountain-state-park. 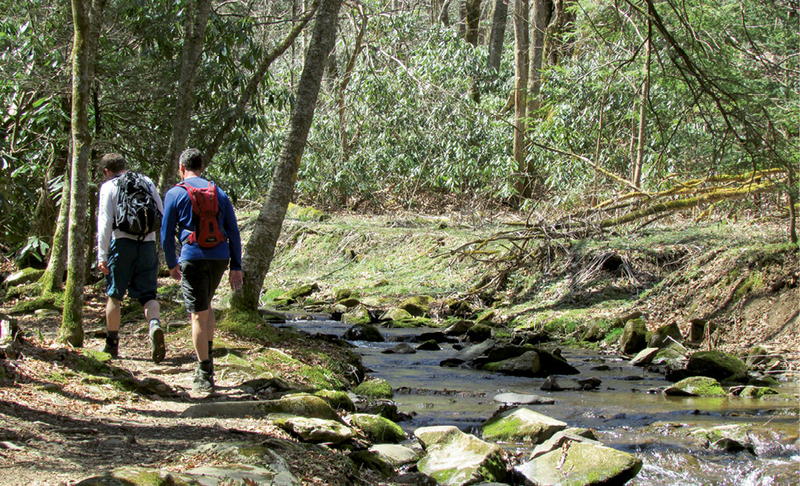 Where to hike in WNC?